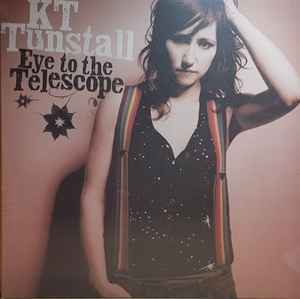 I've been listening to Telescope since it came out(Canadian CD) but never got my mitts on the rare UK 2005 LP. Was hyped when this was announced, had to find a shop here that had ordered it since shipping it would have taken forever. Why is this UK exclusive again..
Thankfully the record itself is excellent, it is a bright and bold lipstick red in a way no photos bring across, was free of any warps or errors and sounds really good, better than my old CD. It also comes with a download for lossless WAV files of the album! Great release. Outstanding sound quality. I listened at least 200 times on CD, i know every second, but this vinyl version has got a few surpises sound-wise. Recommended to buy and listen!